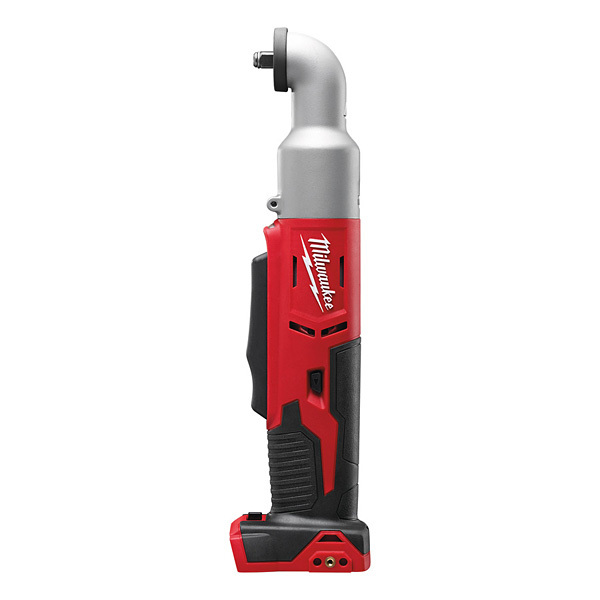 M18BRAIW-0 (4933447899) professional 18 volt compact right angle impact wrench. Zero Tool - supplied without batteries, charger or kitbox. Compact right angle impact wrench measures 307 mm in length making it ideal for working within confined spaces. Full metal gearbox and gears for superior durability. Compact 53 mm head design. 3/8" square drive for use with universal sockets. Individual battery cell monitoring optimises tool runtime and ensures long term pack durability.